Dunkirk – film review | What Hi-Fi? Christopher Nolan's Dunkirk sees him tackle a subject that still leaves opinion split. Operation Dynamo led to over 300,000 British soldiers being evacuated from northern France in 1940, causing Winston Chirchill to remark "wars are not won by evacuations". So was Dunkirk an abject defeat? Timely deliverance? Or the greatest of great escapes? In Nolan's hugely ambitious film, it's all the above. The story of Dunkirk is miraculous, but not one that's featured on film too often, save for Leslie Norman's 1958 film and that scene from Joe Wright's Atonement. 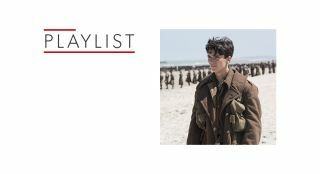 In Nolan's depiction, the young soldiers stranded on the beach (Fionn Whitehead, Harry Styles) are front and centre, flanked by experienced old hands including Kenneth Branagh and James D'Arcy. Split into a tripartite structure with stories rooted in the air, land and sea, each strand exists in its own timeline before merging towards the end. Dunkirk encompasses the whole experience of the evacuation, including the fleet of small pleasure boats sent across the Channel (Mark Rylance, Cillian Murphy) and the battle in the air to protect the remaining soldiers from Geman bombs (Tom Hardy, Jack Lowden). How these various strands converge into a seamless whole, and the way they're used to up the tension by giving the audience some knowledge, but not all, is structurally brilliant. Nolan elects to put the audience right into the boots of those involved so you feel as if you're in the middle of the action. To call it immersive is to undersell it. This is a proper big screen experience that demands a screen of suitable size to see it. Dialogue is pared down, as is character, in what is Nolan's leanest film since Following. By choosing not to focus on an outright main character, the film empathises with the entirety of the situation these men find themselves in. That allows the film to tell stories from different perspectives, which criss-cross and feature acts of selflessness, selfishness, malice and bravery, so the film covers more narrative distance and perhaps has a larger scale than you'd expect. There's always something happening. The battle scenes recall the intensity of a Saving Private Ryan or a Black Hawk Down in how bruising they are, but a 'war is hell' type story isn't necessarily the film Nolan is striving for. At its core, Dunkirk is a suspense story that's all about surviving the next hour let alone the next day. The scale is frankly unbelievable at times. Dozens of men clamber onto ships intended to be salvation only for them to turn into death traps. Spitfires and Stukas take to the skies and engage in dogfights that swoop, sweep and roar across the screen with little to no CG assistance. This is as real as it gets and it'll leave you feeling rattled. Visually it shares a similar look to Interstellar (and both films share a cinematographer in Hoyte Van Hoytema), with colour feeling as if it's deprived in the beach scenes but brighter elsewhere, a mass of blues, yellows and dirty browns that add to the gritty realism and convey the harshness of being on the beach. It's stunning in its own right. The clarity of the image viewed in IMAX (which switches to 70mm every so often) is a wonder. IMAX can sound like an audio soup at times and Dunkirk doesn't escape that issue but on the whole, fidelity is strong and if you don't jump when a German bomber's machine gun starts firing then you're clearly calmer than us. Whether it's the rattling of a Spitfire cockpit, bombs exploding or gunfire cracking through the air, Dunkirk delivers a concussive, forceful experience. Hans Zimmer's score (which includes a ticking clock) serves to remind you that time is running out. It may be a bit clichéd but works like gangbusters in this context. Dunkirk is a thunderous, tension-shredding experience that refuses to let up for most of its 106 minute duration. Nolan's best film? Perhaps not, but like his others, it delivers a sense of scale that he clearly thrives in. Dunkirk is the reason we go to the cinema, an absorbing cinematic experience, the level of which few (living) directors would attempt. It may have been a remarkable defeat in 1940 but in 2017 Dunkirk is a triumphant victory for visceral cinema.